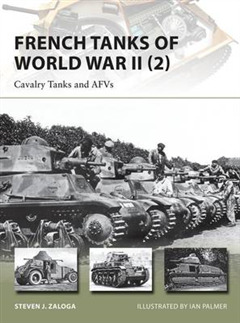 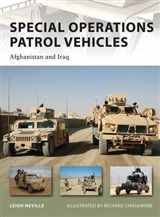 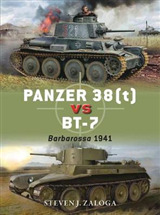 The sequel to French Tanks of World War II 1, this title focuses primarily on France's cavalry armored vehicles, including the light reconnaissance tanks such as the AMR and AMC families, the famous Somua S.35 cavalry tanks and the extensive array of armored half-track and armored cars used by the French cavalry. 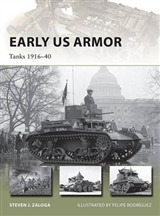 Specific attention is also paid to tanks considered important from a numerical standpoint such as the Hotchkiss H-35/H-39 series. 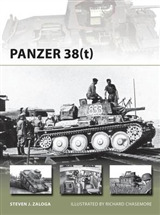 Featuring specially commissioned profile artwork, photographs and illustrations, French Tanks of World War II 2 provides detailed insight into the background and design of these tank types and presents a brief, yet thorough assessment of their performance during the Battle of France.